RootMetrics pushed out the first of their 2014 semi-annual performance reports for the wireless industry late last night, showing Verizon as the overall winner once again. The report looks at five areas (data performance, call performance, text performance, reliability, and speed), four of which Verizon topped the charts on, including the overall category. We included the scores below, which show a small lead for Verizon over AT&T, but in the end, when you win and take four of the five major categories, you get bragging rights. 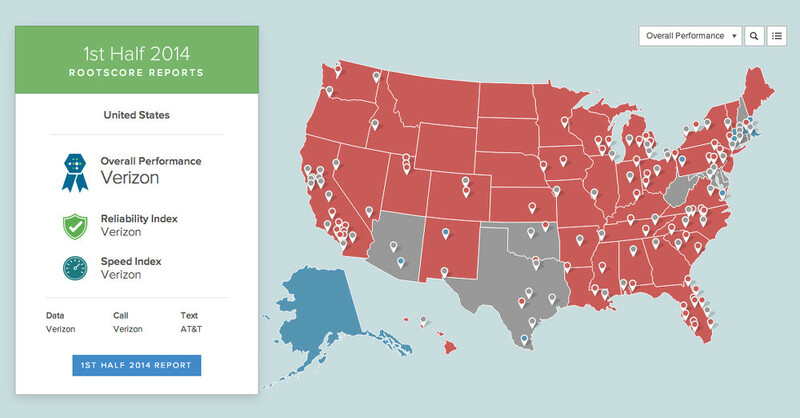 In a breakdown by state, Verizon took 48 states in overall performance, 44 states for reliability, 45 states for speed, 46 states for data performance, and 44 states for call performance. 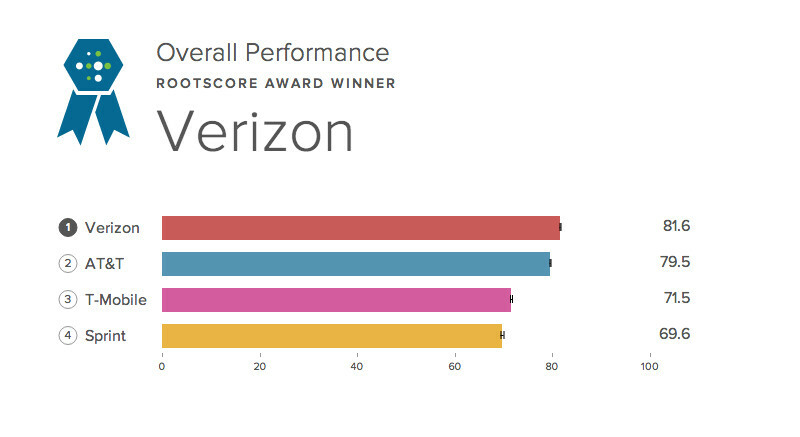 The only category that Verizon did not top was text performance, which AT&T claimed the title for. T-Mobile edged Sprint in three of the five categories, including overall, for third place. They did, however, take last in reliability. Below, you will find the scores for each category.